DemoCurmudgeon: Trump unleashes the real Republican agenda! Trump unleashes the real Republican agenda! Wow, I would not have thought any of the following examples of extremism was possible, but I was wrong. And oh yeh, they want our unconditional love and respect? CNN is reporting as many as eight people have been murdered at Sante Fe High School in Texas ... With students still being screened on the lawn of the high school, with eight of their peers and/or teachers deceased, at least one Trump supporter decided this was the time to put on his MAGA hat, grab his American flag, strap his open-carry pistol to his hip and head on down to the high school. “They believed they were a hardened target, part of what’s expected today of the American public high school in an age when school shootings occur with alarming frequency,” The Post writes. The Post quoted the school board president as saying that the system worked, as only 10 were killed by a shooter using a shotgun and pistol he took from his father. running for governor of Georgia is bringing his racist “Deportation Bus Tour” to Cracker Barrel restaurants—and Cracker Barrel isn't having it. 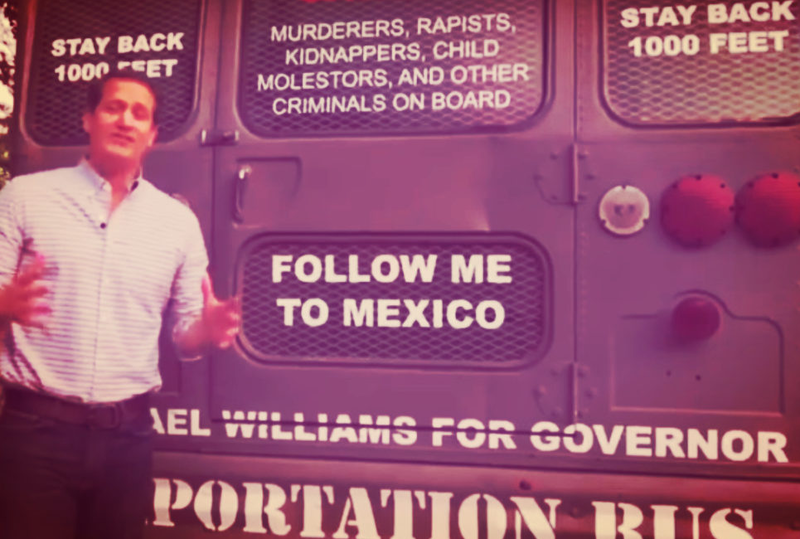 , is currently polling dead last in the state’s Republican primary ... Williams “Deportation Bus” (is) plastered with slogans like “FILL THIS BUS WITH ILLEGALS” and “DANGER! MURDERERS, RAPISTS, KIDNAPPERS, CHILD MOLESTORS [sic], AND OTHER CRIMINALS ON BOARD.” Williams said his bus tour was prevented from leaving Decatur and going to Athens by violent "Antifa and radical liberals" who blocked the bus from leaving. 3. GOP Gov. 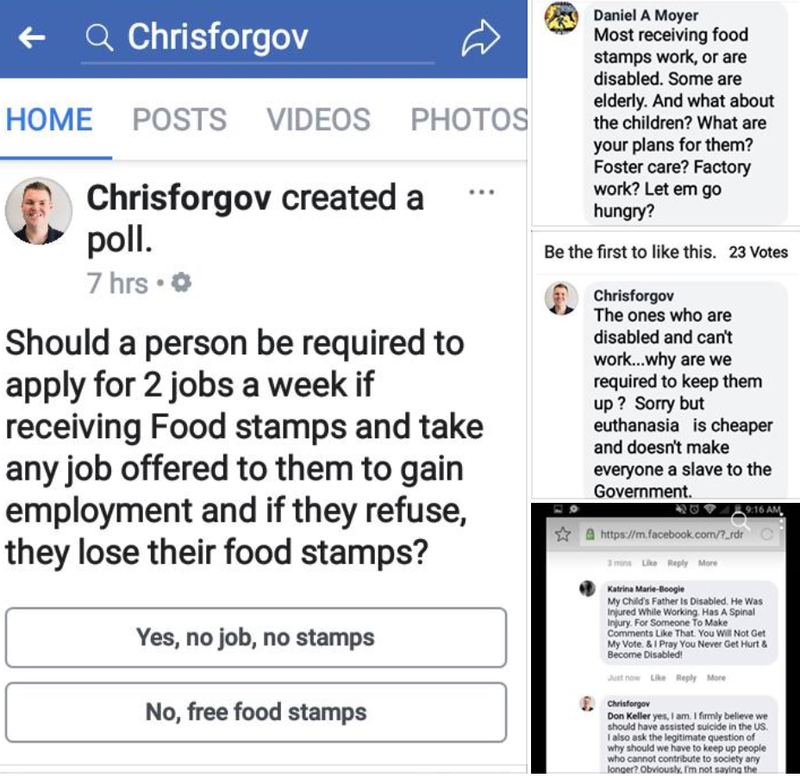 Candidate "suggests" Euthanasia as Solution to costly Disabled, Poor and Elderly: And I'm just scratching the surface here. 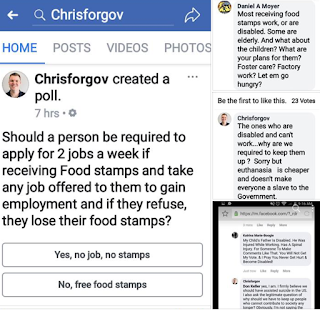 Most notably, the candidate's site stands behind reported comments, whether real or supposedly "hacked;"
Trump Tariff threats have shaken Farm Country! Trump thinks London "a knife-armed war zone"? The (R) doesn't stand for Respect!!! The Trump Country Health Care Divide!! !